Inspired by the theme “Water is Life”, HUB Street Equipment took its influence from the forms created and influenced by water. 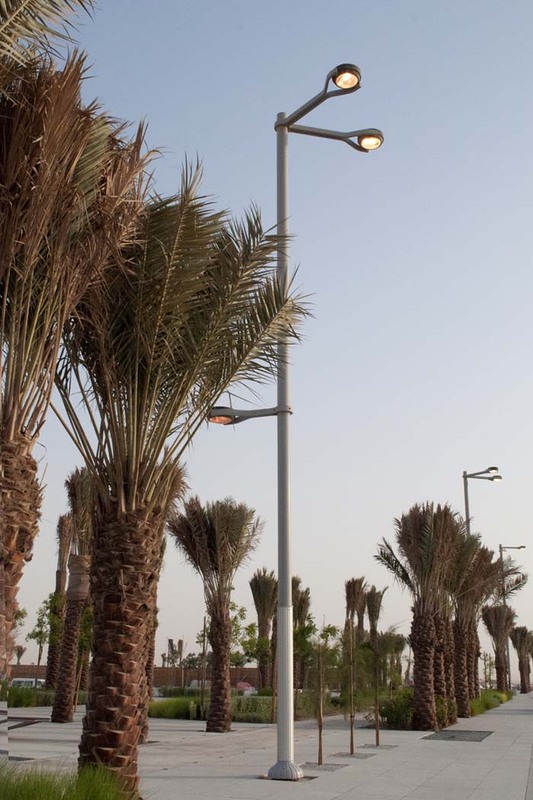 After an exhaustive international selection process, HUB Street Equipment was selected to design and supply a range of unique urban furniture suites and pole solutions for the iconic Lusail City Development Project in Doha, Qatar. After an initial invitation-only pre-selection process, HUB was selected from a shortlist of world leaders in street furniture design from the US, Denmark, Spain, England and Italy. The Lusail Development is an environment where design, architecture and engineering leaders from around the world have been brought together to create one of the most inspiring international developments in recent history. 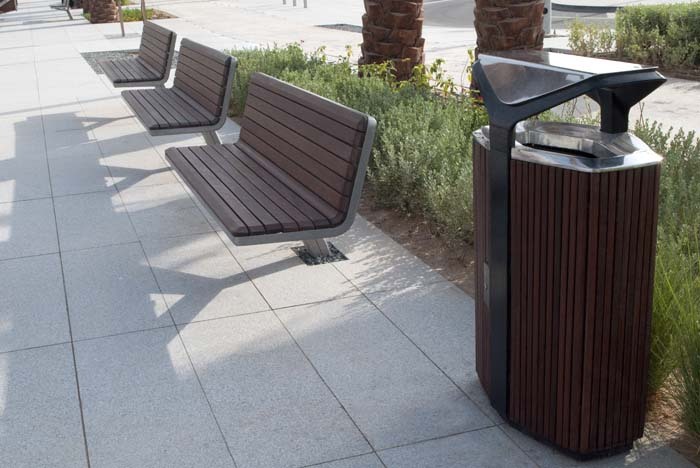 Designed by HUB’s talented in-house design team, each unique piece in the Lusail range of street furniture suites personifies exemplary design, high-quality materials and high-tech engineering. Inspired by the theme of the Lusail project – “Water is Life” – HUB took its influence from the forms created and influenced by water; from the corroded, curved edges of the coastal landscape to the biologically sculptured forms of life in the sea, HUB has captured the elegance, simplicity and beauty of the natural forms associated with the marine environment. HUB designed six unique suites of furniture, in addition to a range of customised variations of the HUB.Pole multi-functional pole system. All these solutions were also designed to withstand the harsh Middle Eastern climate, whilst maintaining a classic, timeless design. With over 35 square kilometres of development, Lusail will be delivered in stages with certain priority areas establishing the benchmark standards of the project right from the beginning. The first rollout of furniture and poles has already begun within the Marina District situated in the Southern part of Lusail. Two premium suites of furniture including the ‘Qetaifan’, as well as the award-winning ‘Marina’ suite feature within this district and feature a common vernacular. Formal, detailed, distinctive and of the highest quality, these elements were designed to show an attention to detail and finish befitting of the luxury waterfront region. 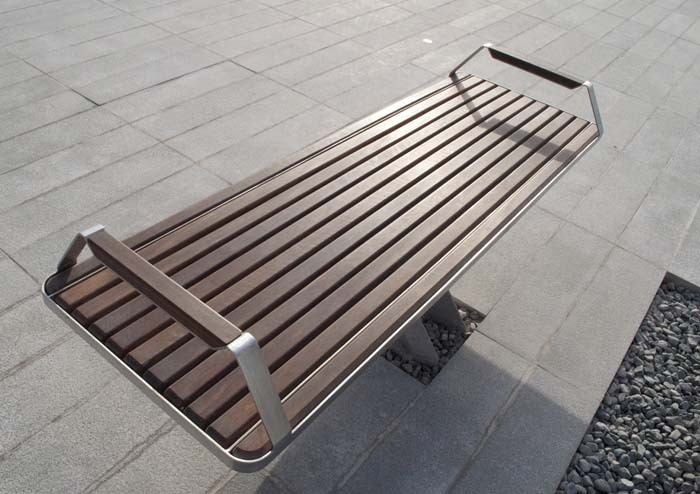 Teak and polished aluminium were utilised to reflect and reference the passing watercraft. 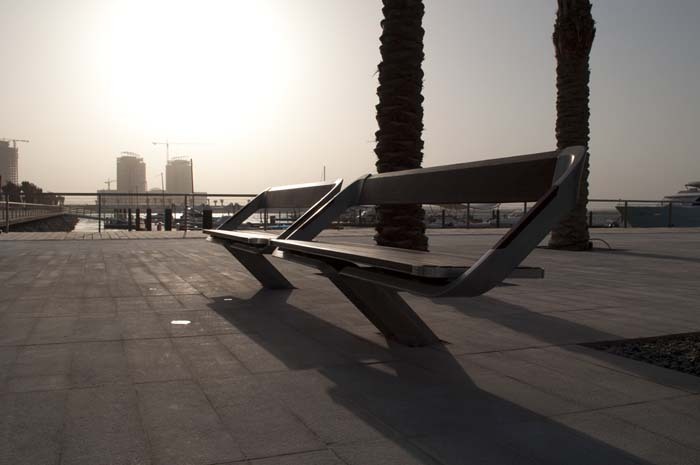 With the Marina Seat having recently won an Australian International Design Award, HUB’s designs are meeting the highest standards expected for use within the Lusail Development.